I have been obsessed with blanket scarves for the last couple years. I finally received one as a Christmas gift (this one to be more exact). Now I am at a bit of a loss on how to wear it. I was a little shocked holding it up how massive they really are (although the term "blanket" should have really implied what their size would be like). I have done a little searching on Pinterest and have found the photos above to use as styling inspiration. I really love the belted look. It makes the scarf a great alternative to a cape, don't you think? 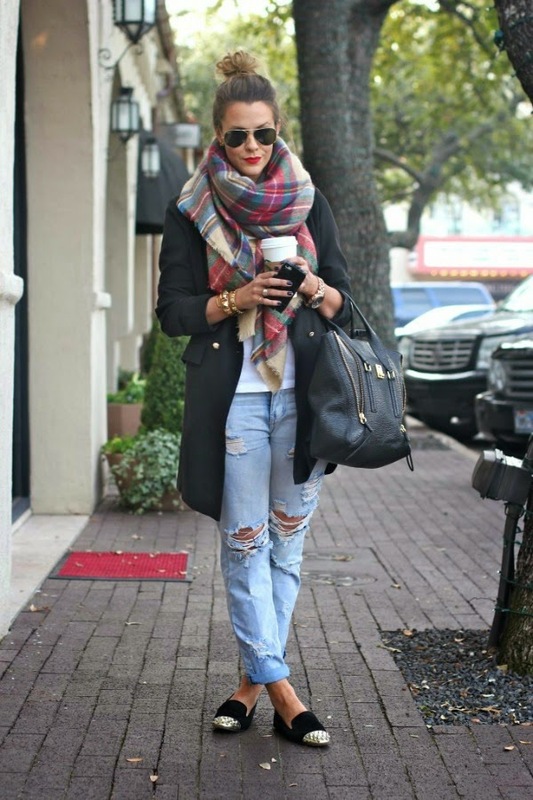 Do you have a blanket scarf? How do you style yours? Oh this IS a fun look, yes winter accessories are super big this season in more ways then one! Great round up! 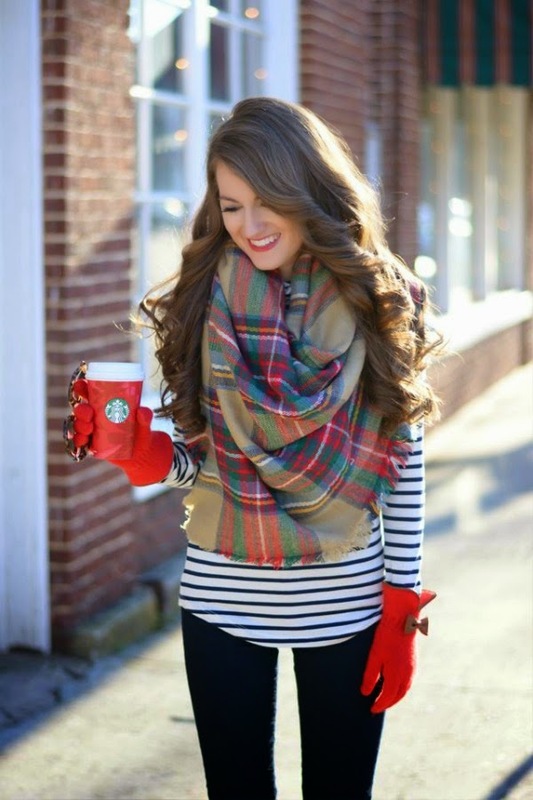 Blanket scarves are such a beautiful accessory so glad that you got one! I really like the belt idea too, looks really chic! I have wanted one, too, but I was afraid that it would be too overwhelming, lol. But now that I see these photos I may have to get one and give it a try. I definitely agree - I like the belted look. Super sophisticated. :) Thanks for sharing! I have a similar scarf..love it! I got one recently as well and have been at a similar loss in terms of how to wear it - this inspiration shots are great! Blanket scarves are the best, especially for this time of year. I really need to stock up on more of them.